Gov. 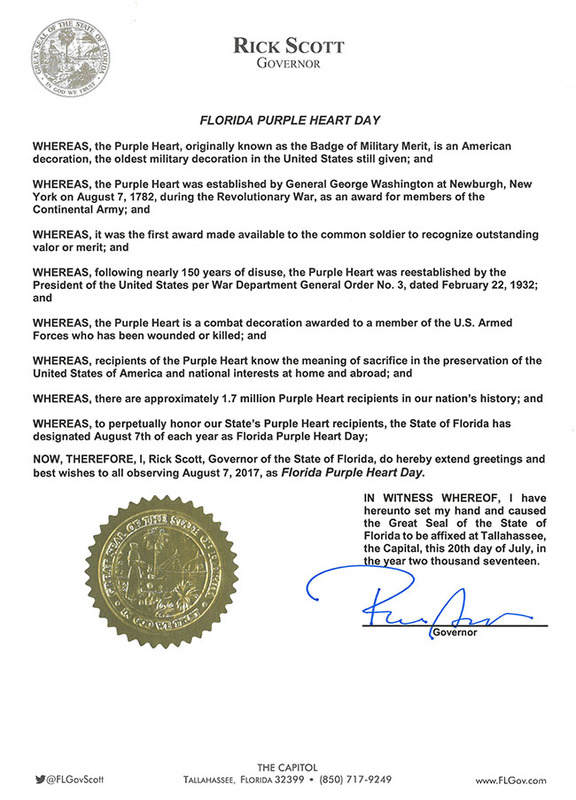 Rick Scott has signed the annual Florida Purple Heart Day Proclamation. The governor calls upon Floridians to pay special tribute to those members of the Armed Forces who have received the Purple Heart, while also honoring the families of the fallen. August 7, 2017 is Florida Purple Heart Day.